​Sisters Celie and Nettie are left to the care of their father after their mother passes away, which ultimately sees them split up as Celie submits to a marriage she doesn’t particularly want and Nettie finds herself running from their father but then unable to stay with Celie. The book is written as a series of letters, initially from Celie to God diarising her experiences from the age of fourteen as she navigates a world of sexism, racism and abuse until she finds her own sexual awakening, which is relevant today despite the sexual revolution of the past. Ultimately the reader is in suspense to see if these ill-fated sisters reunite or not years after life separates them. The strength of the book lies in the characterisation, and the way Walker writes each one with a dose of redemption and complexity. 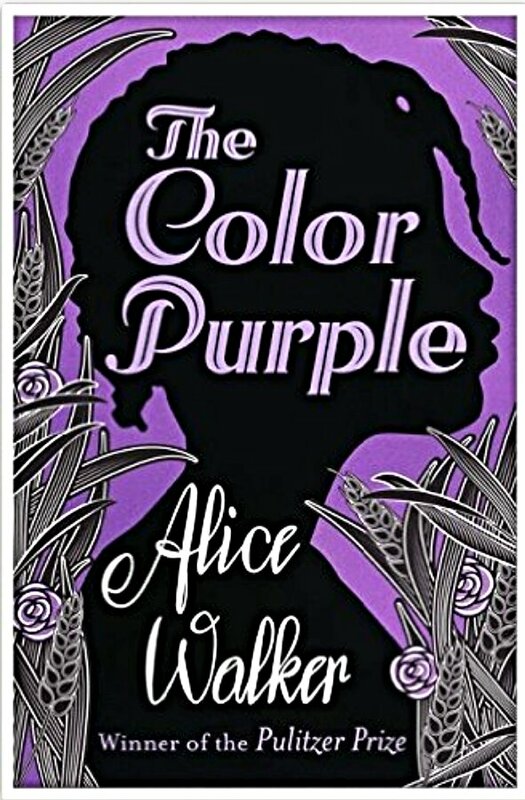 I have wanted to read The Color Purple for a long time and it took months of waiting to finally have this book reserved for me at my loc library and it is undoubtedly one of my most powerful reads of the year, not just because of the subject matter but the intriguing way the story is told. If you haven’t read this, it’s definitely worth reading and for relatively short read it is, does really make an impact. The book opens with Celie saying “I be big.” and then goes on to show why. Heartrending. But also full of wit, drama and hope. One of my favourite books. If you haven’t seen the 1985 film (with Whoopi Goldberg as Celie), it is fabulous. Oprah Winfrey has a part in it, and proves she’s a great actor. Spielberg directed it. The music in the juke joint is great too. How that film did not win any of the 11 Oscar nomination it received is no mystery. All the actors were black. It wasn’t until 2001 that a chink appeared in that wall. I saw the film a long time ago but didn’t appreciate the complexities of the plot and characters until I read the book. I feel I ought to watch it again with fresh eyes. I fear even well into the twenty-first century racial equanimity has a long way to go. You’re right – ‘The Colour Purple’ is such a powerful book – it’s so intense – and it definitely has a timeless element, from the decade in which it’s set and when it was actually written, too. Great choice! I fear the issues of gender equality has a long way to go. Thank you, despite all the accolades the book has won and the news the film made, I could only recommend this based on how I felt reading it this month. I hope you find it just as moving. How readable is the letter format? I often struggle with becoming engaged with books that are set out in such a way so I am interested in your feedback about this. I found it easy to read. The narration is in the local Southern vernacular, but it was easy to get used to. The only other book with that kind of vernacular I’ve read is The Help so I’m not overly familiar with the style! Thanks for the review, I’m adding the book to my To Do list. It brings a dimension of authenticity to the story and I hope you enjoy reading it as much as I did.